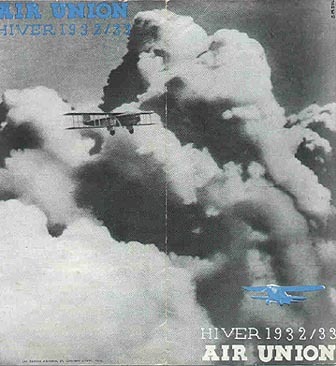 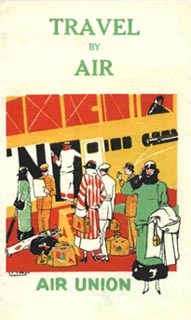 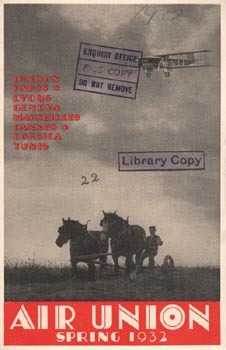 Click to view a circa 1923 Air Union brochure. 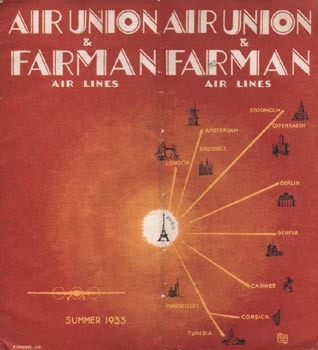 Click to view an Air Union tariffs sheet for air express. 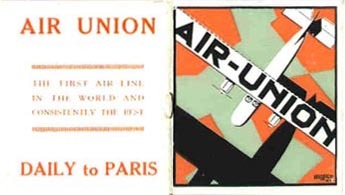 Click to view a 1927 Air Union ticket. 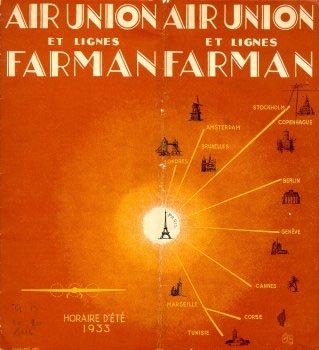 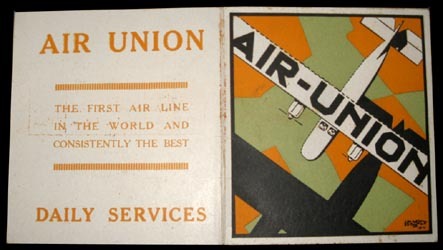 Click to view a 1932 Air Union official handbook including interior views. 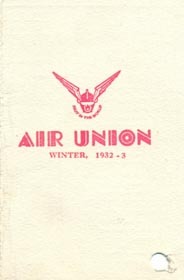 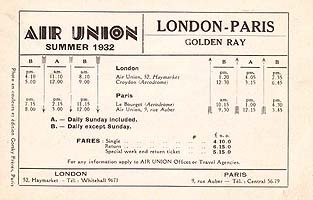 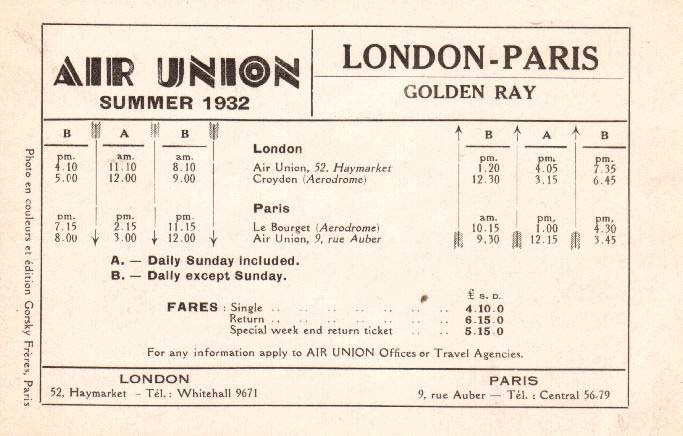 Click to view a 1932 Air Union ticket.